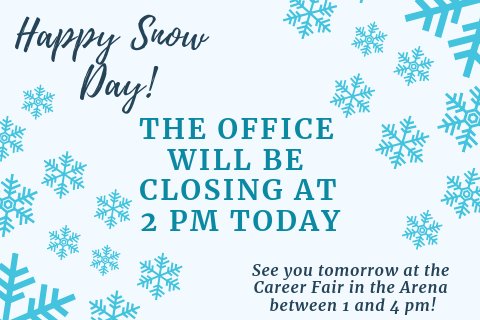 Due to the impending snowstorm, our office will be closing at 2 pm in accordance with the rest of campus. Stay safe and warm during the snow! We will see you tomorrow in the Bentley Arena at the Career Fair between 1 and 4 pm.